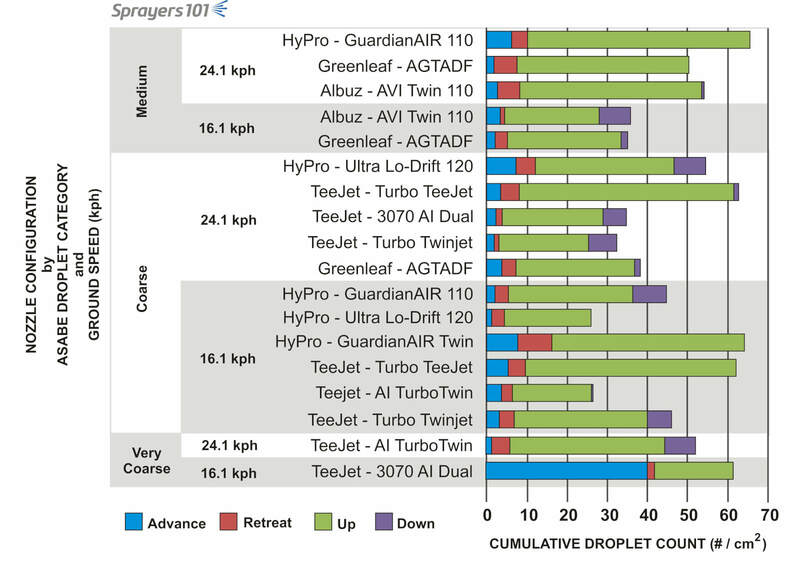 Home > Boom Sprayers > Coverage > Nozzles & Droplets > Which dual or twin fan nozzle should I buy? Twinfan down & dirty coverage trials in soybean. This is a difficult question because of the many factors that affect a spray droplet en route to the target. 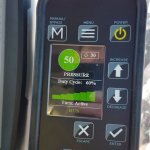 For example, demonstrations at Ontario’s 2013 Outdoor Farm Show showed that spray tends to deposit with the wind, regardless of twin fan configuration, with only the coarsest droplets depositing against the wind. This led me to wonder if I could do a down-and-dirty coverage experiment comparing the resultant coverage from several twin fan nozzles – maybe a leader would emerge? Before I could do that, however, I had a lot of reading to catch up on. 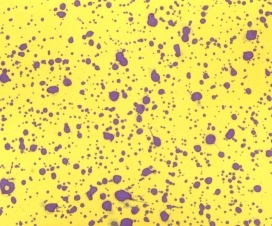 Larger, air-induced droplets produced higher average deposits than smaller, conventional droplets. Twin fans improved overall average deposit compared to single fans. 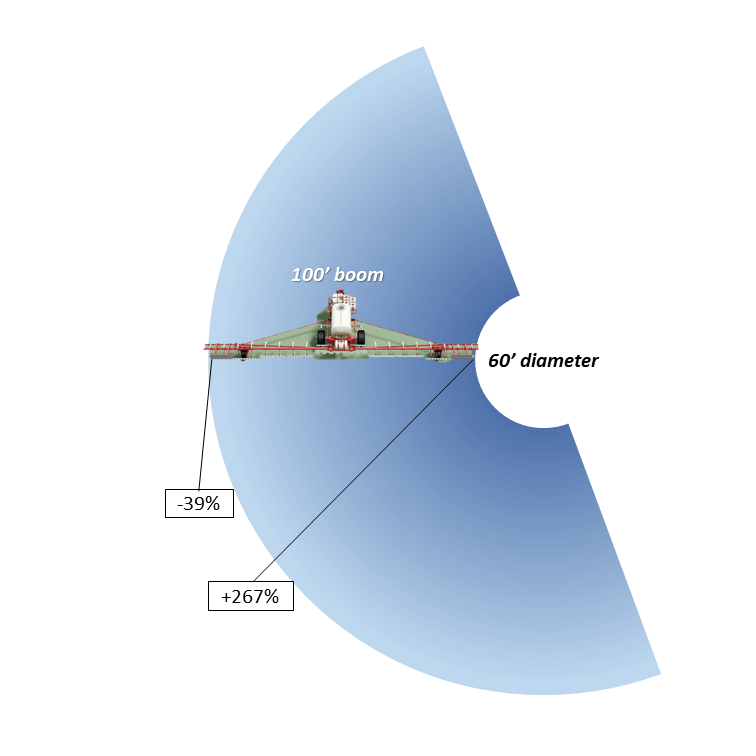 Building on the first two points, twin air-induction fans improved overall average deposit versus conventional twin fans, and also improved deposit uniformity (i.e. coverage on the front versus the back of the vertical targets). Higher travel speeds improved overall average deposit, but at the cost of reduced uniformity as the rear-facing target received reduced coverage (particularly in the case of conventional droplets). Spray angle did not impact coverage from conventional tips, but increasing from 30 to 60 degrees improved coverage for AI tips. While compelling, these results were overshadowed by the fact that growers were not reporting improved efficacy with improved coverage. The authors wisely tempered the potential impact of improved coverage with overreaching issues such as crop susceptibility, disease pressure and product effectiveness. 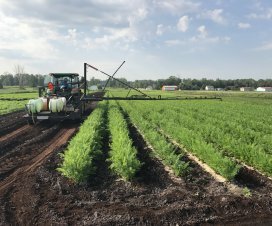 Their very practical conclusion was that applicators should strive for improved coverage, but only after integrated pest management (IPM) criteria such as product choice, crop staging and application timing are satisfied. 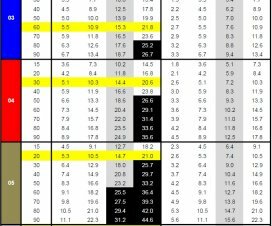 Ground speed did not appear to impact overall coverage. 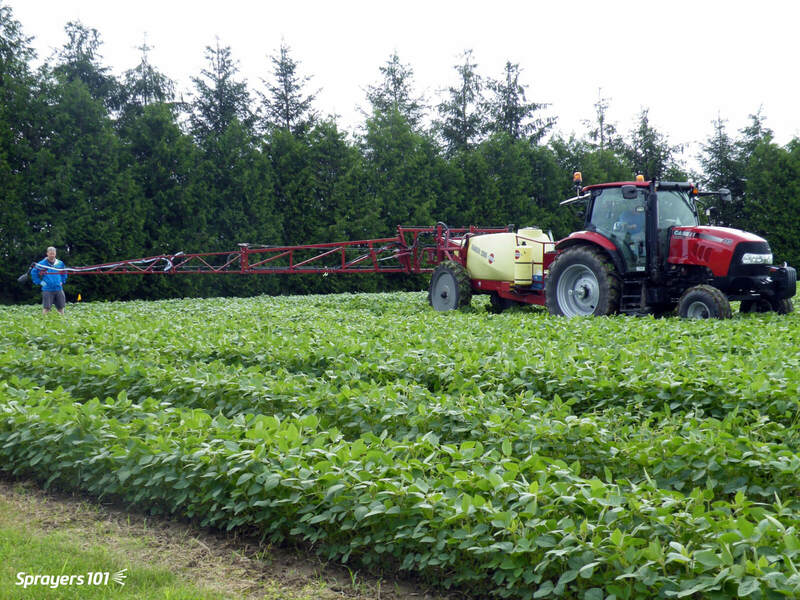 Spraying higher volumes improved coverage. Lowering the boom to optimal height improved coverage. Coverage from conventional flat fans and TwinJets gave ~15-18% coverage and 22-26 mg of copper was deposited per m2, but alternating Turbo FloodJets gave ~29% coverage and deposited ~37 mg copper per m2. The highest percent coverage was obtained using Turbo TeeJets mounted in dual swivels (26% coverage) or single Turbo Floodjets alternating forward and backwards (34% coverage). David and Dr. Art Schaafsma worked with OMAFRA to explore nozzle efficacy. DON is a mycotoxin that may be produced in wheat infected by Fusarium Head Blight (FHB) or scab. There is an indirect relationship between wheat head coverage of fungicide and the reduction of FHB and DON: The higher and more uniform the coverage (with the right timing) the lower FHB and DON. In two field experiments they performed in 2008, DON values in the untreated checks were around four parts per million. 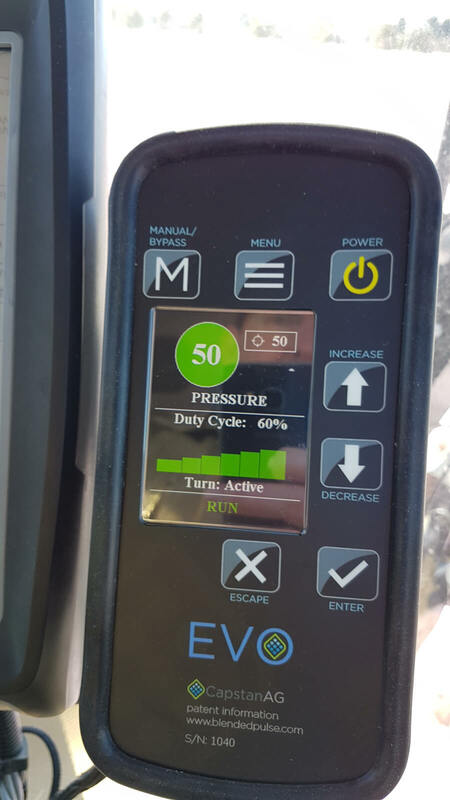 DON was reduced by an average of 22.5% using a single flat fan, 23.0% using a TwinJet and 41.5% using alternating Turbo FloodJets when averaged across two fields, two fungicides and four reps (n=16). They all reduced DON significantly. There was no statistical difference between singles and twins, but control from the alternating Turbo FloodJets was significantly better. Asymmetricals increased overall deposit amounts and uniformity versus single fan and symmetrical twin fans. Nozzle orientation (alternating or not) seemed unimportant. As suggested earlier, boom height is a big factor in coverage. Nozzle angle didn’t matter when the boom was too high, but spray deposit increased significantly when the boom was lowered to an ideal height. 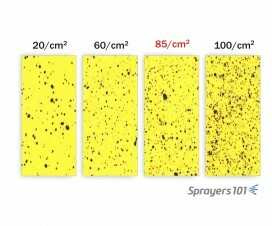 Coarser spray quality gives droplets more momentum, so they can travel greater distances in the intended direction. They are the better choice for any twin fan. 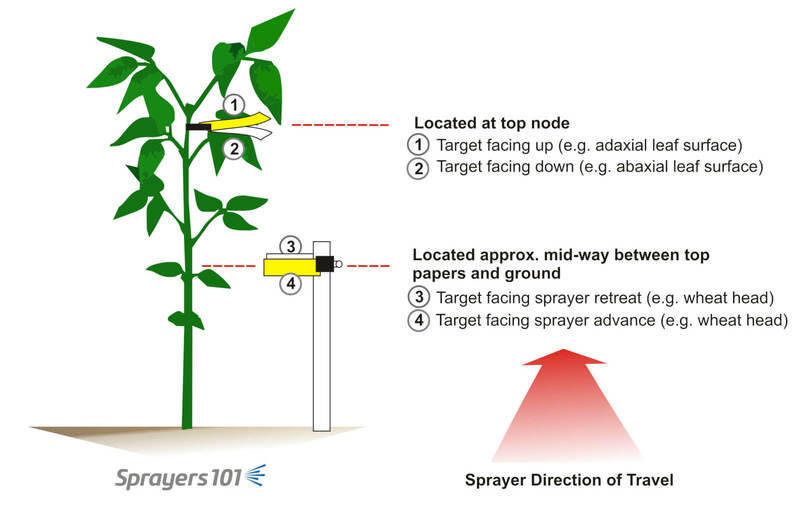 Location and orientation of water-sensitive papers relative to soybean and sprayer direction of travel. 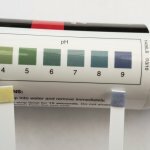 Now that I had all this data under my belt, it was time for my down-and-dirty coverage trial. In 2013, working with Mike Cowbrough (OMAFRA) and Peter Smith (University of Guelph), we characterized coverage from 14 nozzles on vertical and horizontal targets located in mature soybean. Applications were made at 16.1 km/h (10 mph) and 24.1 km/h (15 mph). Wind speed varied from 2 to 7 km/h and temperature increased from 22 to 29 °C. 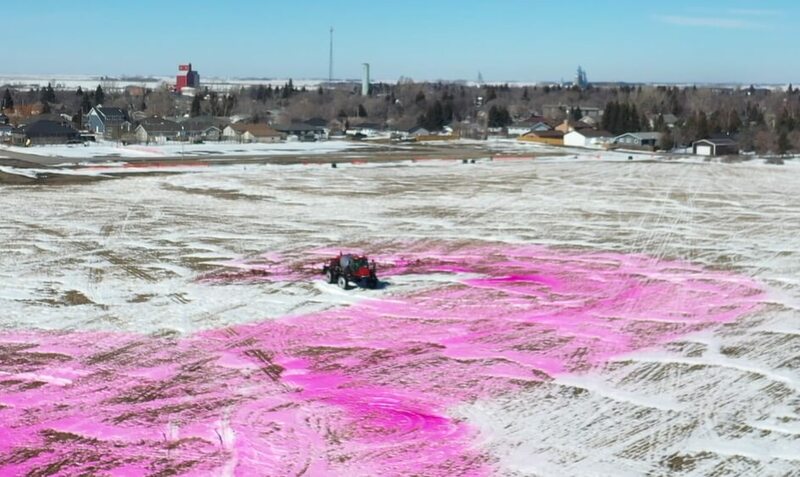 Nozzles were on 0.5 m centres with targets aligned with the centre of the swath. The boom was maintained 0.5 m above the top of the plants. All nozzles emitted approximately 140 L/ha (15 gpa). Coverage was analysed both as percent area covered (Graph 1) and as droplet density (Graph 2). 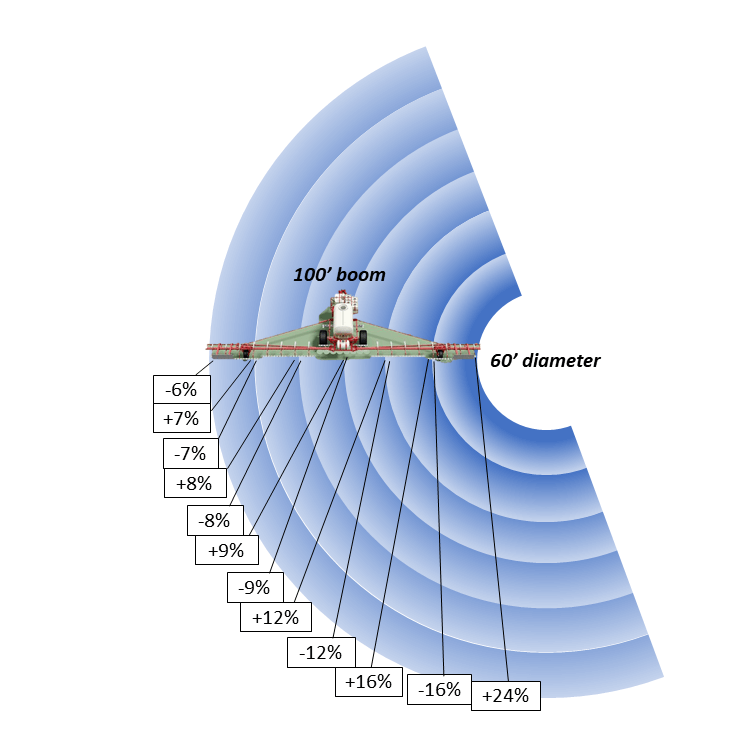 Graph 2 – Cumulative droplet counts per square centimetre (3 targets per condition, 1 sprayer pass). Interpreting the data set was challenging given the number of variables that changed from nozzle to nozzle (i.e. mean droplet size, spray angle, and ground speed). 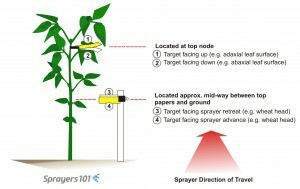 Further, by locating the vertical targets within a dense soybean canopy, spray penetration became a prerequisite for coverage, which would not necessarily be the case with a grass crop like wheat. While I’m the first to admit there are confounds and a few questionable experimental design issues, there is value in the data. 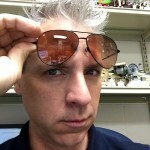 Primarily in the fact that there is no obvious correlation between nozzle design, the conditions in which the nozzle was used and the resultant coverage. 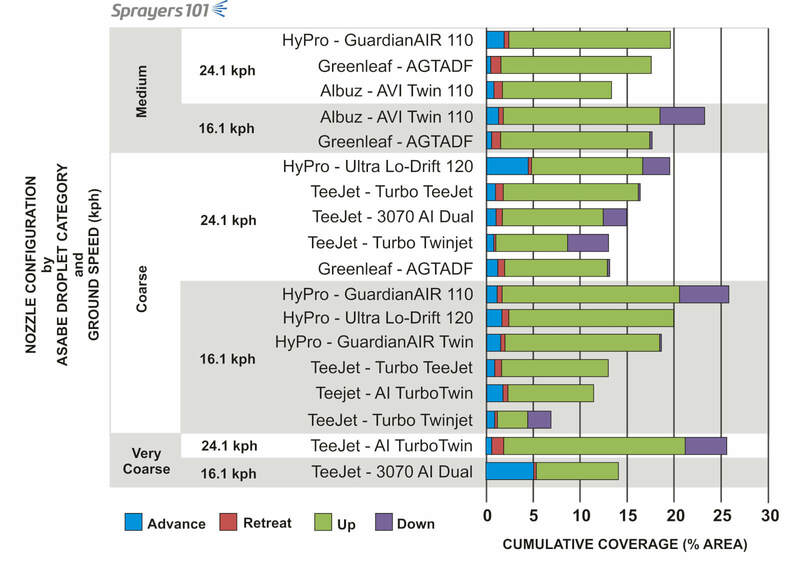 This variability in coverage suggests that nozzle choice should not be the only consideration in the pursuit of an efficacious spray application… at least in the case of twin fans and a tight-canopy crop like soybean. The “perfect nozzle” will not help if the critical window for applying the protectant fungicide is missed. 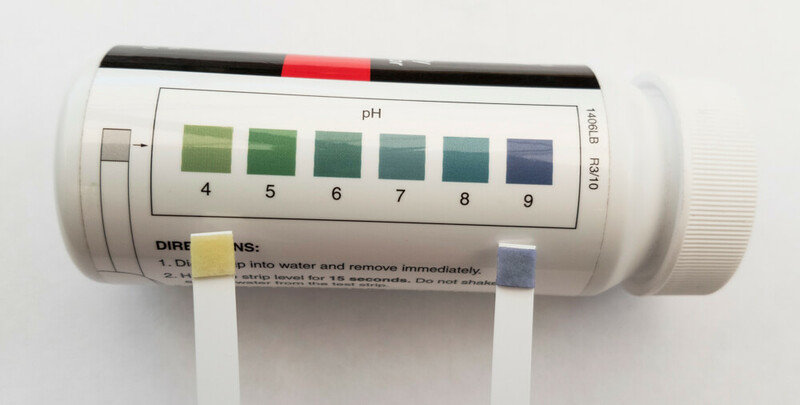 Timing, product choice, and a calibrated sprayer operating in complimentary weather conditions are arguably more important than the minor improvement in coverage a specialized tip may or may not provide. Special thanks to Mike Cowbrough (OMAFRA) Peter Smith (University of Guelph) and summer students Charlotte Mackay, Stephen Boersma and Megan Leedham for their help running and analysing the trial.